A beer caddy I made as a Christmas gift. Inspired by a post from Jamie at Rogue Engineer. 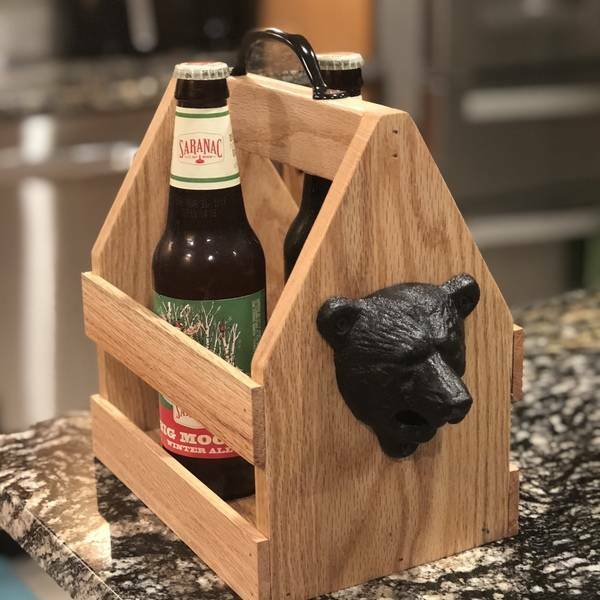 I found these awesome bear head bottle openers that I thought made this look amazing.